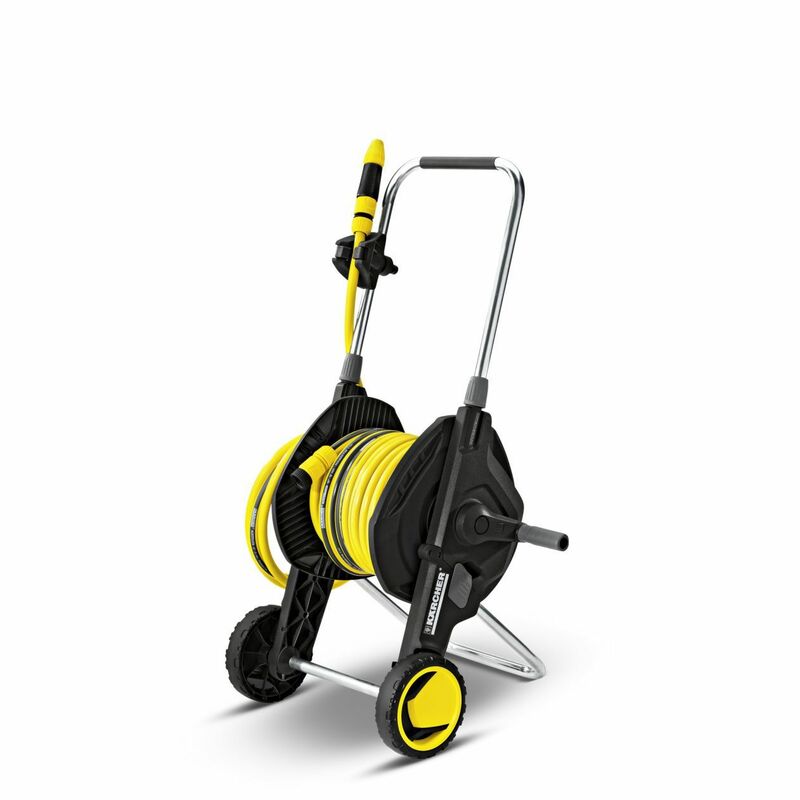 The Kärcher Hose Trolley Kit HT 4520 is a fully assembled, mobile and easy to transport solution for your garden’s watering and maintenance needs. Equipped with an accessory holder and storage hook, the height adjustable handle and angled hose connectors protects the hose against kinking, while the free-wheeling crank and innovative folding function ensures space-saving storage. 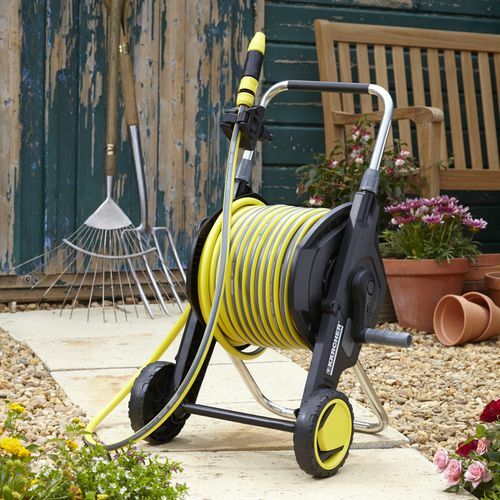 Our Hose Trolley Kit saves you the extra labour of dragging your hose through the garden, while the long hose attachment keeps it clear of flower beds, planters and outdoor furniture. 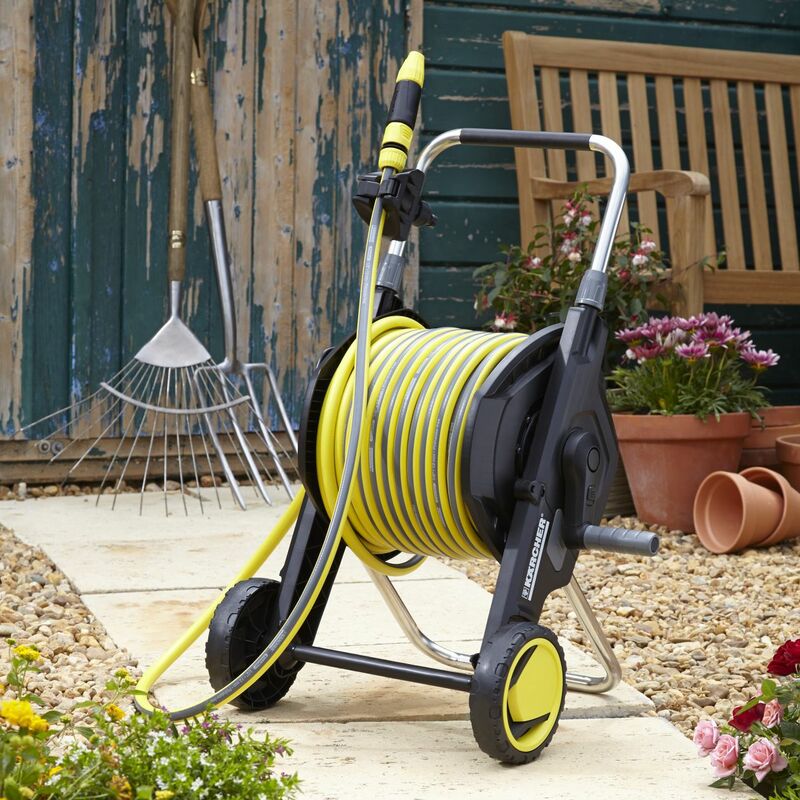 Ideal for watering medium to large sized gardens.